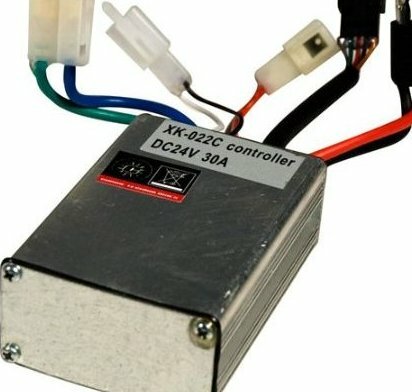 24 Volt 30 Amp Controller (5pin Throttle). Scooter not working? Replacing Controller is usually the answer!. Works with Ezip E400, E500, E750, E900 Electric Scooters. Also works with Currie, Schwinn, Izip & Mongoose Scooters. Requires 5 pin Currie Twist Throttle.